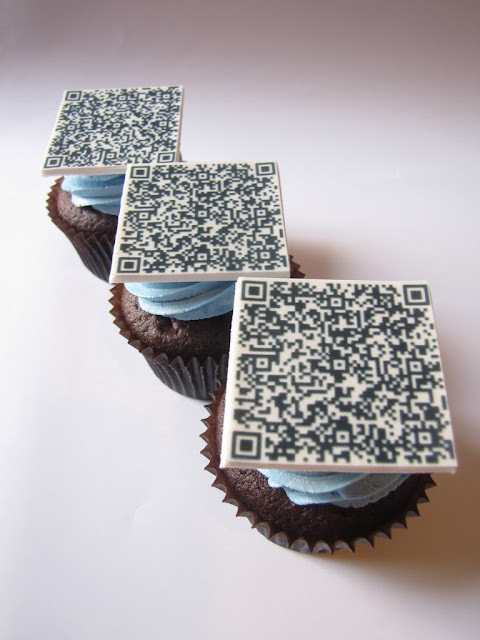 Montreal based clevercupcakes have come up with a blinder this time - cupcakes with a QR Code on top! 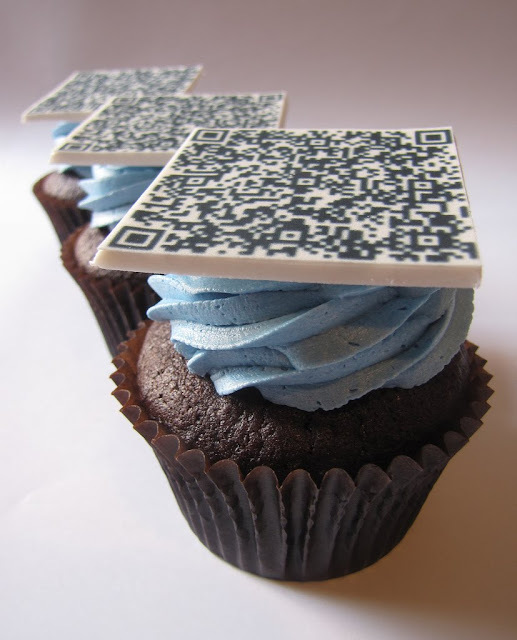 OK, so far so almost cool but the great thing about these cupcakes is that the QR Code actually works. If you have an iPhone with the ScanLife App you should end up on the Montreal Science Center Website. If you are not in the know, a QR Code is a two dimensional bar code, created in 1994 by the Japanese company Denso-Wave. 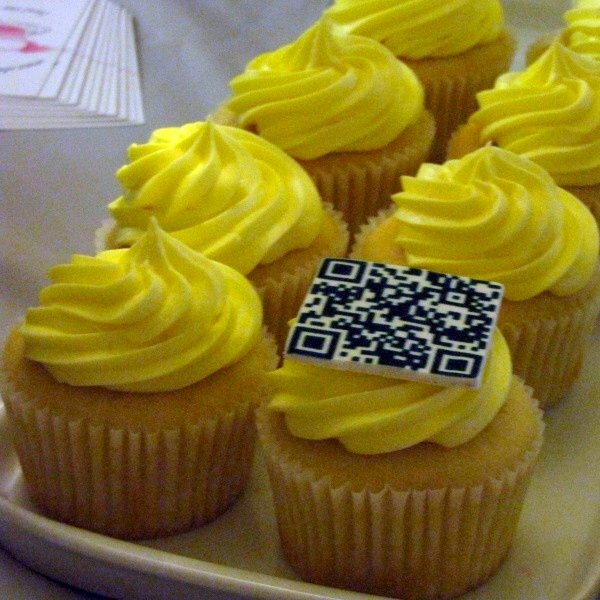 QR stands for Quick Response - and we can just guess what the quick response would be if you saw these in front of you. Same as ours - from the plate to the mouth. QR Codes can store URLs and are popular in magazines, signs, buses and so on - anything that you might need information about could have a QR Code. If you have the right sort of kit with the reader software (such as your mobile phone) then you can scan the QR Code and then your browser will launch, taking you to the specified website. The one above with the yellow topping will get you to the website for clevercupcakes. 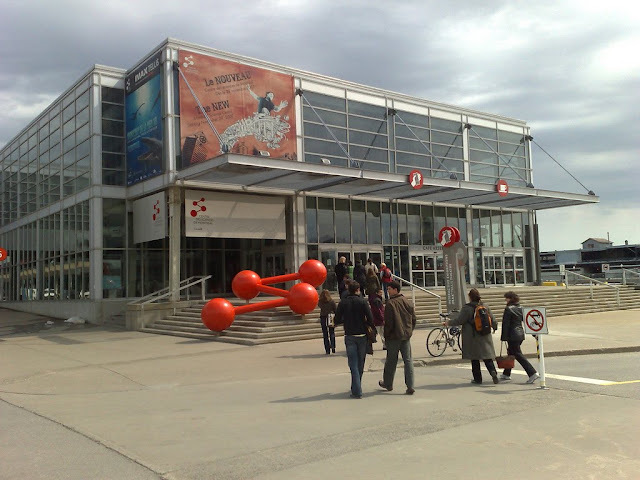 If you are wondering what the Montreal Science Center looks like, then that's it below. A rather uninspiring looking building, it has to be said but if they can inspire such edible genius then who cares, to be frank?